After a long, drawn-out winter like those from the ‘good old days’, it’s hard to believe that spring often happens pretty quickly. By that I mean that we’ll shift from winter activities when the sleeping trees provide us plenty of time and bandwidth to tend to certain tasks, but when the buds open and green tissue starts showing, we need to shift and be ready for the growing season. I predict that it is likely we’ll see some green tissue this week if we haven’t already in some of the warmer spots. That means that scab management should begin very shortly, with a copper application recommended on virtually all orchards between the green tip and no later than the 1/4” green tip bud stage. I would plan on applying copper to any orchard that had any amount of fire blight last year and which is showing green tissue or at least solid silver tip as soon as you have a suitable spray window. If possible, I would plan on applying copper to any orchard, period, that is between silver tip and half-inch green in the next 7-10 days. There is a pile of materials out there and for all intents and purposes for this delayed dormant spray any of them are effective as long as you are applying a good full rate of copper ions. The standard dry materials like Champ, C-O-C-S, Cuprofix, Kocide, etc. will give you the best bang for the buck here, and I would apply the full label rate for any of them and thoroughly spray the whole orchard. The only caveat I offer is if phenology advances rapidly before you can get out there and the trees are at 1/2” green tip, in that case, I would apply a low to middle rate. After 1/2” green tip, unless you don’t care about fruit finish (e.g., cider fruit), I would avoid copper. This isn’t a bad time to get oil on, either, but the rate should be 2% by volume and coverage absolutely thorough to soak overwintering mite eggs, scale, and aphids. If time is of the essence, focus on copper first, especially in orchards south of the rain line that seemed to set up between Addison and Orange/Windsor counties last year which had a fair amount of scab going into the winter. Speaking of which, there is still time to do some sanitation in the orchard by flail mowing leaves and fine brush, and/or applying a coarse urea spray (44 lb feed grade urea in 100 gal water applied per acre, directed at the leaf litter).to speed decomposition and reduce apple scab inoculum. Keep an eye on NEWA regularly as we enter into the 2019 season. Up-to-date spray tables may be found in the New England Tree Fruit Management Guide available online at netreefruit.org and shortly in hard copy format. The late Dr. Ron Prokopy at UMASS was instrumental in pulling together the “March Message”, an pre-season update on IPM and other topics for tree fruit growers. Dr. Jaime Pinero, the ‘new’ UMASS Extension Entomologist, has revived this valuable tool, which I have attached here. I also want to announce the pending publication of a print version of the New England Tree Fruit Management Guide. This has not been offered in print for several years. The printed guide will be a reformatted version of the material available online at www.netreefruit.org. I’ll post a notice when it is available to order. Copies will be $25 each. 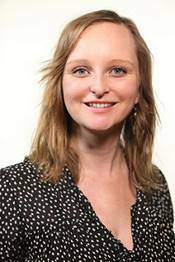 I am working with an Lizzy Holiman, an undergraduate UVM student who is studying viticulture and wine making practices in relation to climate change adaptation in New England. If you have a couple of minutes to complete this survey that will guide her research question, we would really appreciate it. Please feel free to share with your contacts as well. Other workshops will be held primarily the week of March 11-15, and watch for further information in the near future. I will be announcing the start of the UVM Fruit Program’s Vermont Beginning Fruit Grower Program (VBFG). This project is funded for eighteen months through a Vermont Specialty Crops Block Grant through the Vermont Agency of Agriculture. There are two primary deliverables for this project. First is an interactive email list that will provide a forum for beginning growers to interact with one another and with experienced growers. This peer-to-peer learning will greatly enhance the knowledge base among beginning fruit growers and address the bottleneck of having one person (me) who is only able to devote partial time to answering individual questions from beginning and prospective growers. Please let me know if you wish to join the list. I can add you directly, or, better yet, you can follow the subscription instructions at: http://www.uvm.edu/~fruit/beginner/bg_listserv.html. If you ever find that it is not useful, taking up too much inbox space, or anything else, let me know that too. I can remove addresses easily, and can also set the delivery of the list to collate messages into daily digests, but for now, I’d like to see how much traffic we get. The next deliverable will be a series of on-farm workshops to help address knowledge gaps through experiential education. This winter, we will hold a number of apple and grape pruning workshops around the state. Each workshop will be limited to twelve people so that we may provide time and attention to each participant. I’ll be announcing the first of them shortly, please keep your eyes on your inboxes if interested. In 2019, growing your Vermont brand online is more important than ever before. The Vermont Agency of Agriculture, Food & Markets is offering a workshop to help you sharpen your Social Media marketing skills. Whether you’re making melt-in-your-mouth maple candy, or growing fresh fruits and veggies, learn the latest tips, tricks and trends to help build up your food or agriculture business. How do I get more people to see my content? Which platforms should I be investing in? We’ll cover everything you need to know to develop a digital presence for your “Made in Vermont” brand. 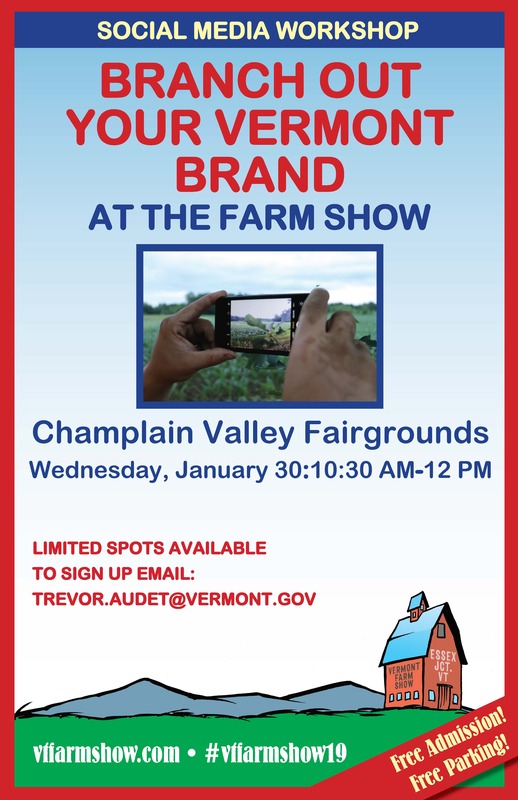 Join us January 30th from 10:30 AM-12 PM at the Champlain Valley Expo. Limited spots are available so sign up for FREE today: trevor.audet – 802-522-4725. The need for adequate pollination is no secret to fruit growers, but recent focus on the status of both wild and managed (e.g. honeybee and certain bumblebee) pollinators refocuses the efforts among all of us to ensure that we are managing our crops sustainably. Tree fruit growers arte in a particularly tricky space, as the myriad insect pests that can reduce, damage, or even eliminate a season’s crop must often be managed close to the orchard bloom window. In addition, as perennial crops, tree fruit orchards develop into long-term agroecosystems and management of pests while minimizing damage to non-target pests can be an increasingly difficult line to walk. The Pollinator Network at Cornell University recently released A Pesticide Decision-Making Guide to Protect Pollinators in Tree Fruit Orchards (pdf), a research-based guide to help growers make pesticide selection and use decisions to maintain crop quality while reducing risk to bees and other pollinators. I strongly recommend downloading this guide for your winter reading. The guide can be quite daunting, as it breaks down various levels of acute, chronic, and synergistic toxicity of numerous agrichemicals to bees and other pollinators, which may make it look like tree fruit production is just incompatible with pollinators and we should all find a new crop. But remember two things- we need pollinators, either wild or managed, to grow our crops, and the northeast apple industry has coexisted with pollinators for as long as orchards have been around here. We can do this. · Maintain wild pollinator habitat at orchard edges. This is probably one of the most-effective practices you could do on your farm. Just allowing an adjoining space to grow up to native flowering plants will significantly increase pollinator populations. This space should be minimally managed- few or no mowings, no pesticide application, minimal tillage or other soil disturbance. · Keep your sprayer calibrated, aimed correctly, and used in low-drift conditions. · Whenever possible, unless the material is a plant growth regulator or other material whose use is improved by slow drying, always spray in fast drying conditions (low humidity, temperatures >50°F) to minimize the time that droplets remain on plant tissues and the orchard floor. · If you have flowering plants / weeds on the orchard floor that are attractive to pollinators, either remove them with a broadleaf herbicide application or mow before applying insecticides. · If you use neonicotinoid insecticides in the orchard, wait until after bloom to apply them to minimize their expression in pollinator-attractive nectar. · Minimize tillage in the orchard. Most growers use little to no tillage in the tree strip, but some organic orchards and growers who seek to minimize herbicide use may use under-tree cultivators. Many pollinators in Vermont orchards are ground nesting bees, and soil cultivation can damage them. All of these practices are just good IPM, and are nothing new to growers. As I said before, our industry has evolved over the past 150 years with the pollinators that we either bring in at bloom or, especially, with the ones that live in and around our farms and provide free pollination and pest management services for both our trees as well as for the wild and managed plants around them. I am working with the other Apple IPM Extension instructors across New England to develop regional programming. We are asking New England apple growers to help us in Extension determine the most effective ways to get you crop management information. production information and support, with a focus on Extension sources. It will be used to guide Extension in selecting ways to provide growers with information in the future. You may answer some, all or none of the questions, of course, but complete surveys will give more helpful results. The survey will be open until March 7, 2019. It should take 10 minutes or less to complete. The survey has more than one page – please hit NEXT at the bottom of each page. This survey is anonymous. Survey results will be reported to grant agencies, administrators and the academic community in order to improve support to New England apple producers. Your participation is greatly appreciated. All individual data will be kept confidential. Please click the link below to start, and thank you!